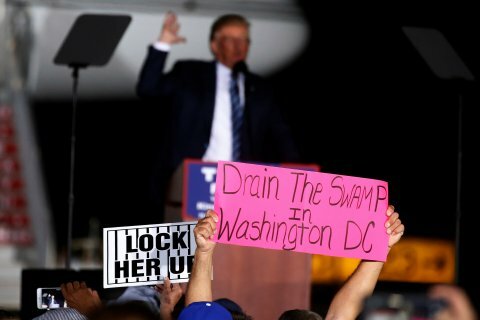 When US business tycoon-turned-politician Donald Trump ran for office, "drain the swamp" became a popular campaign cry. Trump likely was implying that he would "drain" corrupt and redundant features of Washington's establishment and distance Washington's leadership from the suffocating corruption of special interests on Wall Street. Yet since winning the election, almost overnight (and in many cases, all during his campaign even), Trump has surrounded himself with precisely the sort of flora and fauna found in the deepest, dankest swamps. And perhaps the largest specimen Trump is stocking the swamp he now presides over with, is his pick for US Secretary of State, Rex Tillerson. Tillerson is not only at face value the embodiment of both Wall Street and Big-Oil as a lifetime oilman joining Exxon in 1975, becoming president of Exxon Yemen in 1995 and serving as chairman and chief executive officer of ExxonMobil from 2006-2016, but also epitomizes the conflicts of interest and unwarranted influence Wall Street and Big-Oil are notorious for. Most ironic of all, the abuses Tillerson played part in almost up until the day he was recruited by Trump, exercising unwarranted power and influence through the United States government and the very State Department he now stands poised to lead, was done during, and more importantly, with the administration of President Barack Obama. The requests for help — documented in diplomatic cables obtained through a Freedom of Information Act request from DeSmogBlog as well as some previously released by Wikileaks — raise a whole new series of conflict-of-interest concerns about Tillerson, who retired as ExxonMobil CEO soon after being nominated by President-elect Donald Trump to be the next secretary of state. ExxonMobil sent State Department officials a request to help overcome local opposition to fracking in Germany; in Indonesia, the State Department acted as a advocate for ExxonMobil during contentious negotiations between the firm and the Indonesian government over a major gas field in the South China Sea; and in Russia, ExxonMobil asked the U.S. ambassador to press the Russians to approve a major drilling program, noting that a “warming of U.S.-Russian relations” overall would also help the company. Those optimistic for rapprochement between the US and Russia, however, should understand that from ExxonMobil's point of view, rapprochement with Russia is more desirable the weaker Russia is when it finally occurs, thus giving ExxonMobil and other US special interests the upper-hand in negotiations, and if possible, a free hand as was the case in the wake of the Soviet Union's collapse and the wholesale looting of Russia's economy by the US and Europe that followed. The Intercept would also point out that ExxonMobil under Tillerson worked hand-in-hand with then US Secretary of State Hillary Clinton, Trump's future opponent during the 2016 polls. 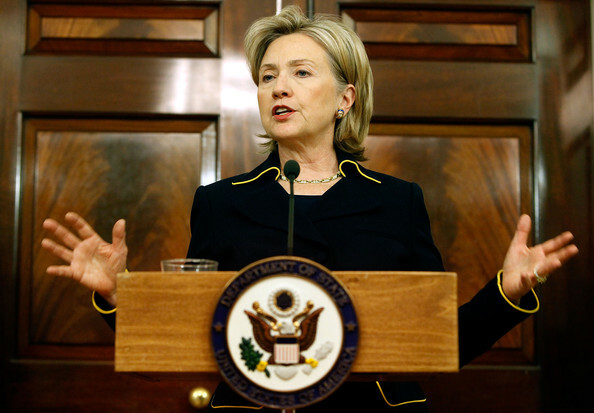 In theory the U.S. State Department is supposed to promote American values and human rights around the world, but in practice that often comes into conflict with an agenda to ensure access for American firms to new markets and reserves. Ironically, the US State Department often uses this very "promotion of American values and human rights" as cover for coercing, undermining and even overthrowing governments that impede the ambitions of Wall Street and Fortune 500 goliaths like ExxonMobil. Tillerson’s aggressive posture toward China — one that risks open conflict — highlights how decisions he makes could be influenced by ExxonMobil’s drilling interests in the South China Sea. The firm not only maintains a relationship with Indonesia, but also signed an agreement with a Vietnamese state-owned firm for a drilling concern in a disputed area of the South China Sea. 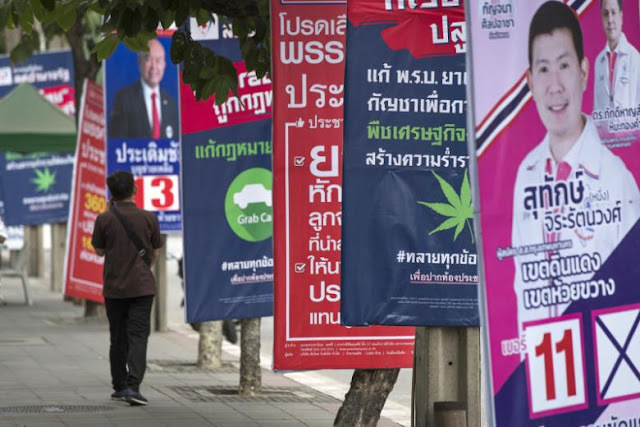 However, in addition to The Intercept's troubling revelations, it should be noted that the US State Department, under both the Bush and Obama administrations, has placed significant political pressure on Vietnam through the use of the US State Department's various, supposed nongovernmental organizations, including the National Endowment for Democracy (NED) and its subsidiaries; the National Democratic Institute (NDI) and the International Republican Institute (IRI). Together, with the web of Vietnamese agitators these fronts fund and direct within Vietnam, and with support from the media pressure US and European networks place on Vietnam from beyond its borders, capitulating to lopsided deals with Rex Tillerson's ExxonMobil becomes increasingly the only option left for some governments as opposed to facing US subversion as seen across North Africa and the Middle East, or directly on Russia's border in Ukraine. 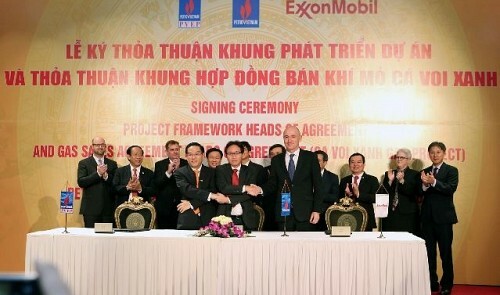 It should be noted that the ExxonMobil-Vietnamese deal was signed during US Secretary of State John Kerry's visit to the country, as noted by Vietnam's Tuitrenews.vn. Considering the information revealed by The Intercept's extensive report, that is hardly surprising. In reality, Tillerson represents precisely the unelected special interests that have run America for well over a century dating back to the robber barons and bankers of the late 19th century. His agenda transcends not only 4-8 year presidencies, but also political party lines, equally as eager to work with "Democrat" Hillary Clinton as he is to serve as "Republican" Donald Trump's Secretary of State. 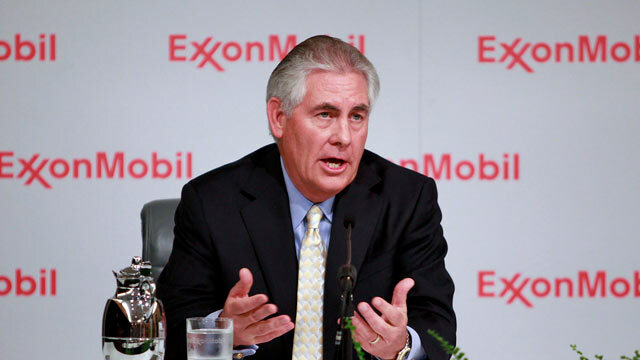 Though ExxonMobil’s worldwide drilling operations and issues around recusal were discussed repeatedly during the confirmation hearings, the State Department’s own direct involvement with ExxonMobil was not mentioned. And that is the most troubling aspect of this all. Despite the hysterical charade put on between Republicans and Democrats, Conservatives and Liberals, the really tough questions along with the most compromising and glaring conflicts of interests are brushed under the rug just as vigorously and as entirely by both sides.